Ooh la la! There’ll be a French holiday atmosphere in Castle Ashby town centre on Sunday July 12 when a group of traditional French market traders and some continental friends return to set up their stalls for one day only. Summer has finally arrived, and for Castle Ashby locals, so have the intoxicating colours, scents and sights of a traditional French market. On Sunday July 12, Castle Ashby town centre will host some of the best French and continental market traders around. For any locals who’ve never experienced a vibrant French market before – this is the perfect opportunity to do so on right on their own doorsteps! The market also features traders from other countries, including Italy, Spain and the UK (the ‘friends’ in the event title! ), all of whom are handpicked for their experience and professionalism and the quality and popularity of their merchandise. The market will feature a French delicatessen with a range of exquisite artisanal terrines, patés, charcuterie and cured meats. There’ll be freshly baked French bread and the finest French cheeses. There’ll be fresh olives and pasta, and for those who get irrresistibly peckish whilst looking around there’ll be Spanish paella, chicken fajitas, Moroccan couscous and a juicy hog roast! There’ll also be a colourful assortment of sweet and sugary temptations, including croissants and crépes (both sweet and savoury), Italian confectionery, candy, fudge, pastries, viennoiserie, baklava, nougat, Turkish Delight and fruit & nuts. The sights, sounds and scents are bound to entice town centre shoppers, and the stalls will be packed with authentic, top quality, mouth-watering continental delicacies to satisfy their curiosity. 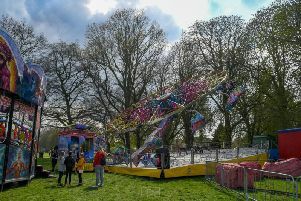 Organised by international market event operators Savoir Fayre Ltd, this colourful travelling market arrives in Castle Ashby as part of its annual tour of the Home Counties, London, the Midlands, East Anglia and the South Coast. All attending traders are fully checked and accredited by The Market People - a new system of booking, business management and accreditation for market professionals - and can be easily contacted before or after any purchase via The Market People website (themarketpeople.com). Castle Ashby Summer French Market & Friends will be operating in The Rural Shopping Yard, The Old Farm Yard, Castle Ashby, NN71LF on Sunday July 12, 2015 between 9am and 5pm.